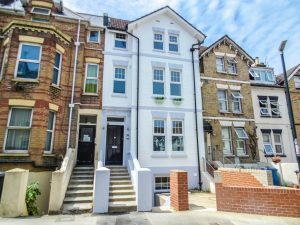 High demand for Investment properties in Bournemouth. Taylor Made are currently witnessing a huge demand for studio & one bedroom flats in central Bournemouth & the immediate area from Investors. Taylor Made Sales Director Sam Everett commented ” We are seeing unprecedented local, out of town & International investors purchasing in Bournemouth at the moment. The returns on studio & one bedroom flats can be much greater than more expensive Freehold houses. Also, some purchasers are buying without undertaking an internal viewing of the property as all of the information they require is online”. Many Investors, certainly from London are seeing much greater yields here than in other areas and they view Bournemouth as a growth area. For advice on purchasing investment properties in Bournemouth please contact your local Taylor Made office.